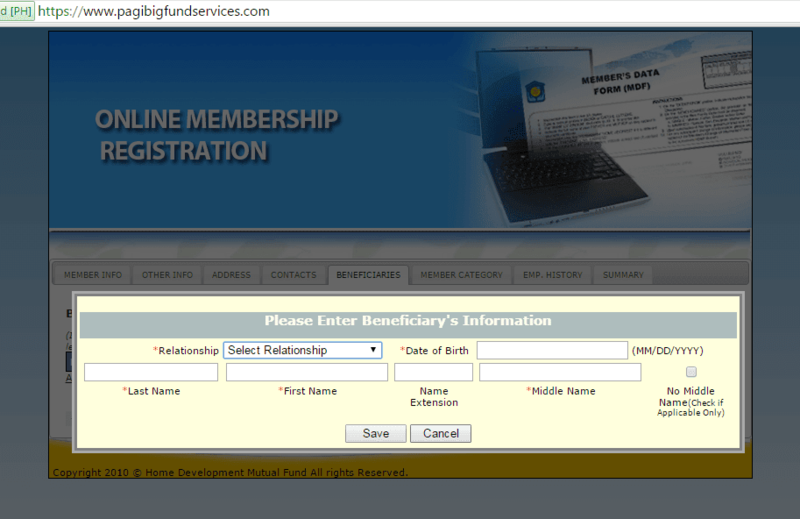 As advised by our HR, I visited PagIbig website via http://www.pagibigfund.gov.ph/. As a new member, I'm expecting to see a sign up page upon viewing the official website just like what I see when I enrolled online on SSS. 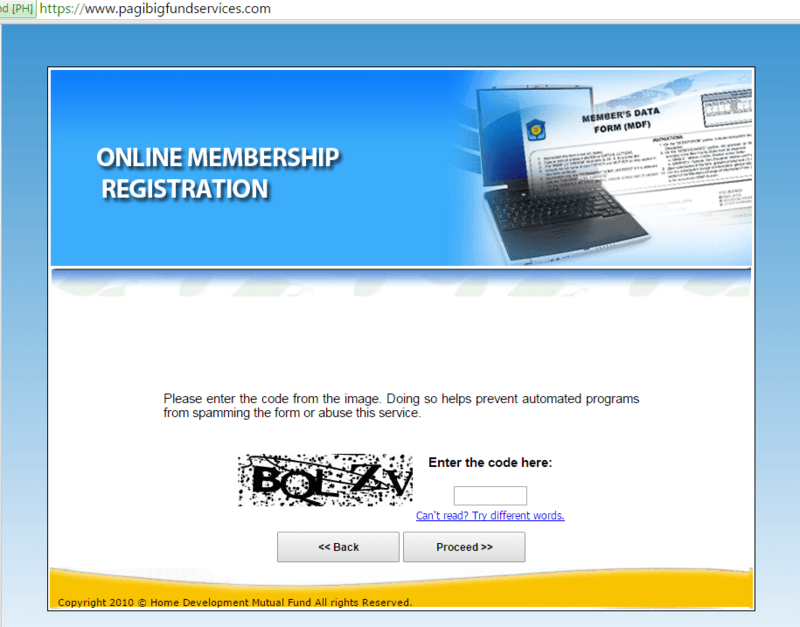 I looked from top to bottom of the PagIbig webpage but I cannot locate the sign up button. 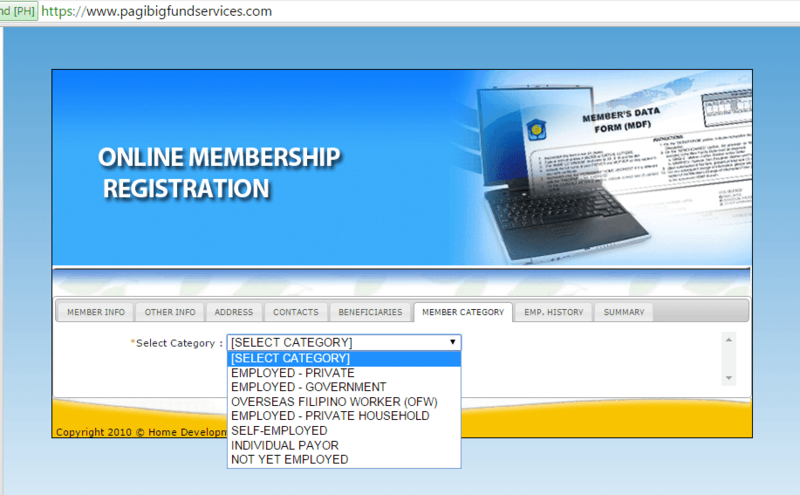 What catches my attention is the 'e-Services' so I clicked the photo and I was redirected to https://www.pagibigfundservices.com/ which caters Pag-ibig online services. 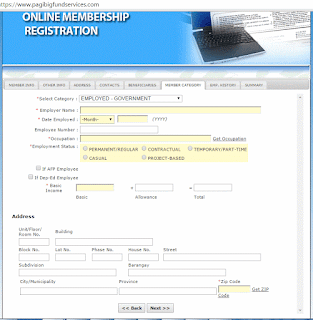 On this page I found the membership registration and started the process. For employers you can also use the same link above to apply. 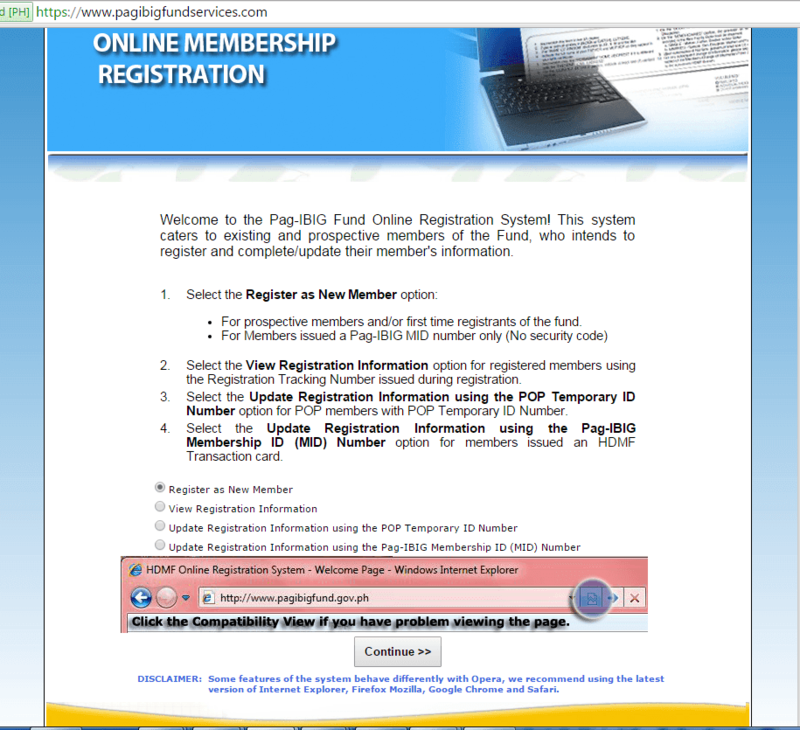 Go to Pagibig Home Development Mutual Fund (HDMF Official Site). You'll also redirected to Pag-IBIG Online Services. Click on e-Services icon or you can also choose Benefits and Programs tab then click Membership Programs. Click on Membership Registration. Since I want to register as a new member, I'll tick the button "Register as New Member". If you're an existing member and already had a Membership ID number you can check the fourth option. That is t update your information and existing records to current if any. After choosing the right option, just click "Continue" to proceed to the next process. Next is the Captcha, prior to next process. Just type the letters indicated on the picture. Click Proceed to continue. 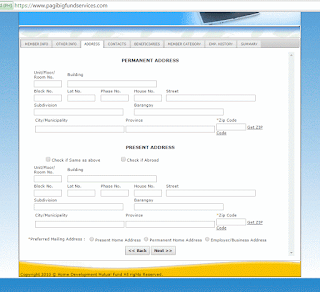 Next step requires information like, Pag Ibig ID, Member Name, Mother and Father's name. All field with red* is mandatory, so you cannot proceed to next steps without completing those fields. After filling up all the needed information, just click Next to continue. Next page is additional information’s like, date and place of birth, citizenship, civil status, SSS ID No., GSIS ID number. After filling up the fields, click Next. 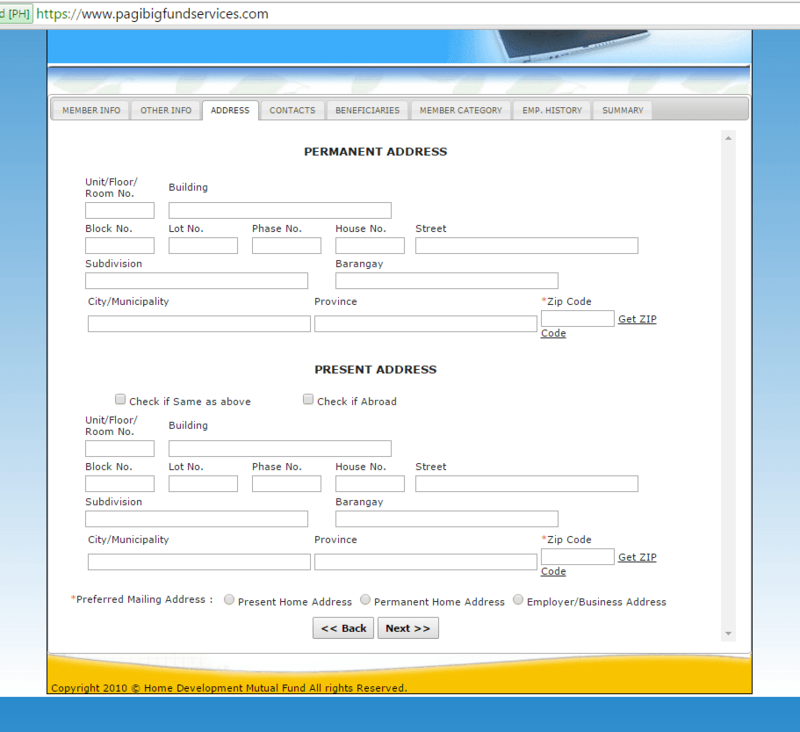 Next Page is Address details, just fill in you permanent and present address then click on Next button. Next is the Contact details page, fill in your valid and active email address then mobile or landline number would do for this page. Then proceed to next page. Beneficiaries’ page lets you input your beneficiaries in case of your death. Listed member will equally share in accordance to New Family Code. Next is the Member Category, you need select the right category. Options are, Employed Private, Employed Government, Employed Private Household, Self Employed, Individual Payor, Not Yet Employed and OFW. After selecting the right option, you'll need to input the details of your employer, date employed, position, employment status, salary and address details. Click Next to continue. Next page is additional information regarding you employment history. Just supply the right details like company name, employed months or years then address. Click Save then press Next. Last step is the Summary of all details you provide on the previous pages. You can review it by clicking Review MDF prior to submission. You can click black there's error or wrong data supplied on the previous page. Once done. Click Submit Registration. After clicking submit, you'll be prompted with another page saying you have successfully registered. Please don't forget to take note of your RTN (Registration Tracking Number). See also: Pagibig Contribution Table. To complete the process, you must submit the printer MDF to your HR office. This will enable the number-based remittance which makes easier for your employer in paying your contributions. Pwede ba mag registere sa pag ibig ang walang trabaho? How to get my number in pag-ibig kasi hindi ko po alam dati kc kinakaltasan ako sa employer ko, tapos ngayon sa new work ko hiningian nila ako sa pag-ibig number ko.thanks po. pano kapag nawala mo yung tracking number na sinend ng pagibig need ko kasi sa new job ko eh. Same situation. Sana may magreply dito sa tanong mo. Yung sakin naman ayaw maprint nung mdf kahit anong gawin kong click dun sa print mdf..
Hi po the only way I know that you can retrieve your RTN number is to call PAG-IBIG and ask for your tracking number. 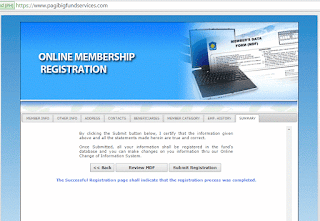 Pag-ibig will send confirmation through text that your registration is successful. The RTN will also be provided in the text message. sa sitwasyon na hindi nyo maiprint yung MDF. isave nyo sa flash drive saka paprint nyo na lang sa ibang comp. kasi posibleng hindi maiprint yan at bka ung printer nyo ang may problema. NA ICLICK UNG PRINT MDF PERO WALANG NAGPAKITANG MDF. Ichek nyo ung pop up button ninyo. baka kasi nka block yung pop ups nyo. makikita ito sa upper right side ng URL addres nyo pag chrome ang gamit nyo sa baba naman pag firefox gamit nyo. Magpapakita ito pag naiclick nyo ang PRINT MDF. click nyo ito saka select nyo ang ALLOW POP UPS. sana nakatulong yan sa inyo. Ask ko lang may bayad ba pag magpapamember sa pagibig or philhealth? wala pong certain amt. or fee na babayaran kung kukuha ng sss, pag-ibig, phil-health number, just tell them na for employment purposes lang. TY. Bakit wala po akong na receive na text message na nag confirm sa registration at RTN ko? 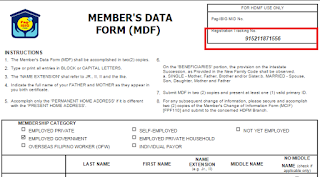 I was not able to print/save my members data form which will serve as my proof of registration....What should I do for me to locate RTN? Need.po ba tlga ang MDF pg mg aapply d ba pd ung number lng ? Or ung id n msmo galing sa pag ibg pd n ba kht wla MDF ? Employed-government po ba ang dapat kong ilagay sa select category kahit for training palang ako sa jollibee at wala pang experienced na trabaho since then? Pls, answer me complete details. yaa. AKO DIN, HINDI KO NA PRINT YUNG AKIN AFTER KO MA COMPLETE. PANO KAYA ULIT MAKITA YUN PARA MAPRINT KO. you have to click "PRINT MDF" tab, and a new window will appear which will give/show you the form that's filled up already with the data given. and upper right corner, yong my maliit na box, my nakasulat po doon na registration tracking number, na kung saan sa ibaba po niya my number. Thanks. bakit wala po akong nareceive na text message to confirm my registration..
Bakit ganun, nagregister ako nung july 3 as of 7:38PM. Then until now july 5 as of 9:16PM walang nagtetext para sa RTN ko . 2 days na pong nakakalipas. Ano po bang dapat gawin? Baka po may "pop-up blocker" check niyo po if may notice sa upper-right ng browser (kung naka-google chrome kayo). Allow pop-ups niyo po, para lumabas po yung window kung saan makikita yung duly accomplished form. hello! i want to ask how to inquire online using my mom's number, she wants to know what happened to her loan last typhoon ondoy. thank you. pano po yung mgregister ka sana sa online pero after mo click yung continue ayaw po, kasi your name is already existing dw, kahit anong gawing ok ok ok na pindot ayaw talga, di nman po pwd sa ibang option kasi wala pang tracking # eh...paano ba yun? Hi po, gusto ko po sana papaano po malalaman yung registered tracking number at PAG-IBIG ID number? Two years ago po via online po ako nagparegister as a new member..UMID lang ang meron ako. 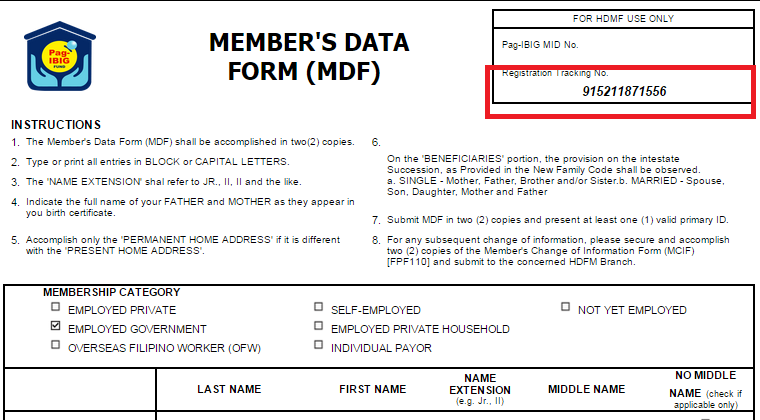 hi po.. ayaw po tlagang mag print out nung " PRINT MDF" ..ano po ba pwedi kog gawin dto? kung may nagpakitang MDF maipiprint mo yan. kung hindi mu maiprint sa comp. mo isave mo saka paprint mo sa comp. xop. baka kasi yung comp. mo yung may problema. Kung wala namang nagpakitang MDF check mo yung browser mo bka nakablock yung pop ups. magpapakita ito pag naclick mo yung PRINT MDF. pag chrome ang gamit mu makikita ito sa upper right side ng URL address para itong box na may markang red na X pag firefox naman magpakita ito sa baba lang ng URL address. iclick mo ito saka mo select yunf ALWAY ALLOW POP UPS. saka mo ulit click yung PRINT MDF. sana'y nakatulong yan sayo. salamat. paano po kapag hindi mo nailagay ung number mo. paano mo po malalaman ung RTN? paano po bah kumuha ng pag ibig number thru online? paano po ba kumuha ng pag ibig number thru online? panu ku po ba malalaman kung makanu na yung nahulog sa pag-ibig ko ngayong taon? Member napo aq sa pag ibig, tanong q lang po may online i.d application po ba sa pag ibig? kahit walang request from the company pwedeng kumuha ng philhealth na walang bayad?? Hello, paano po ang procedure after i-print ang form? Para po sa mga NOT YET EMPLOYED? Ibibigay rin po ba sa HR once na na-hire na sa work? Salamat po sa sasagot! 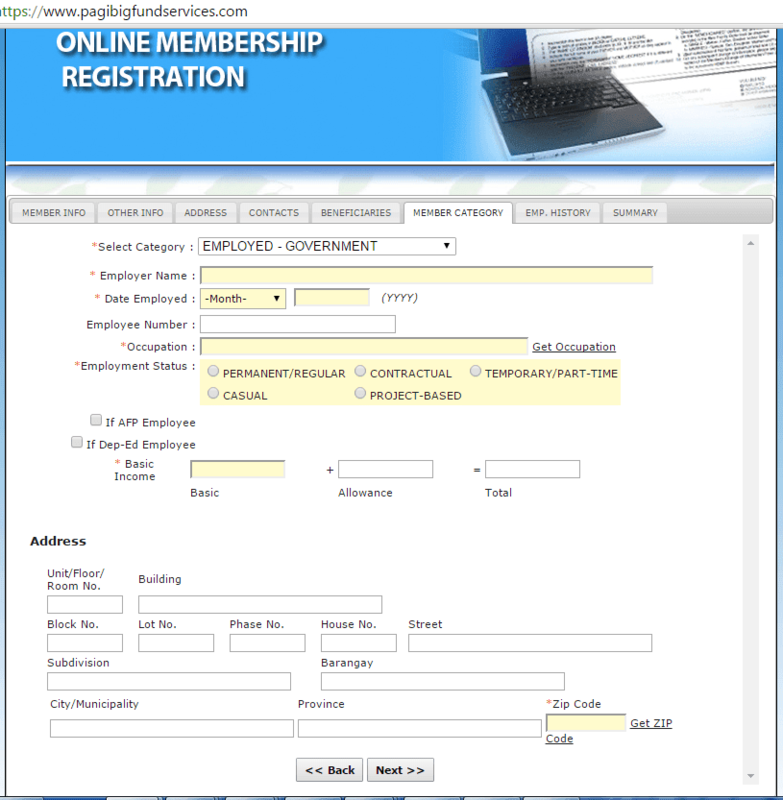 If naka register na online, no need na pong pumunta sa pag-ibig office? good evening. nag reregister ako online. tas ayaw nya tangapin ung Date employed year ko. what should i do? and mas mabilis kung mag oonline diba kesa mag walk in sa pag ibig? tama ba? hello po. mag apply sana ako as not yet employed. pwede ba to ma update if may work na ako? pwede po bang ma register ang employer thru online? What if di ko na-print yung mdf for some reason, but I have the RTN. Pano yun? Yeah ganyan din akin e nakapag register na ako tas nakuha ko na yung RTN pero di ko pa napaprint yung MDF ko kasi nag close yung Google chrome ko pwede pa kaya makita yun ulit ?